From award-winning routers and laser-guided circular saws, to the industry-renowned Superjaws and Series 2000 Workcentre, you can rely on Triton for tools that provide an accurate, quality finish very time. 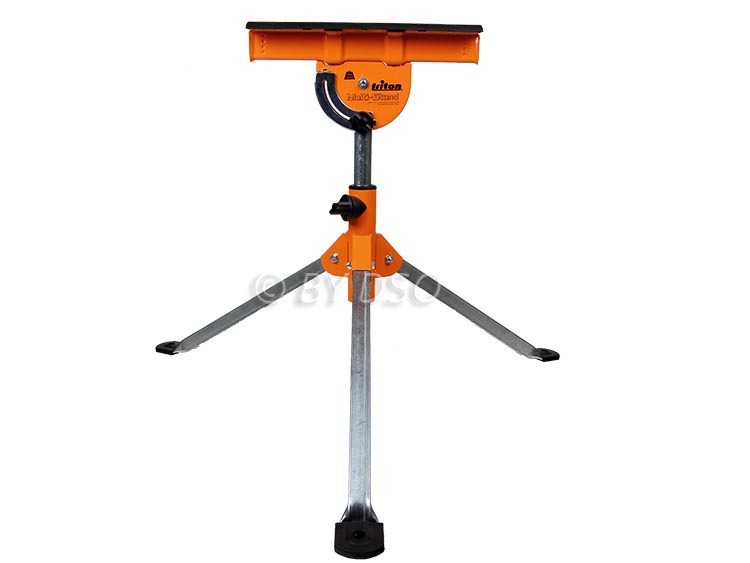 Here is the ultimate "third hand" it is a Multipurpose support with extra-wide tripod base for excellent stability on level or uneven ground.it has Low-friction slide surfaces that will provide smooth, controlled travel without unwanted 'steering' of the workpiece. Swiveling and tilting head is capable of clamping Pieces of wood or anything else that may need the extra support whilst you carry out your work. The list of uses this as capable of is endless and will become a valuable asset to any trades person or DIY user alike. Folding frame for compact storage.